Shadows versus substance. Sometimes the shadow looks almost exactly like the real thing. Almost. Shadows are the images of the real deal. Images. Hmm. Wheels turning in this mom’s heart. Thankful for his wisdom of a young 18 year old kid who is trying to have his eyes wide open in a world that often encourages the blind to lead the blind. Sad at the pressure our society feels to model themselves after so much extreme and crazy behavior. Hopeful for kids who are trying to see beyond the nonsense of acting out, and pursuing things in life that have substance. Prayerful that he’ll continue to “keep it real” in his own life and so discern between what is genuine and good, and what will change and turn in a heartbeat. A few notes on shadows. Shadows shift with the light source. They can be elongated or shortened. They show the outline of things, not the inner details. Shadows are gone when there’s no light. They disappear. They don’t last.They are fleeting and if you tried to reach out and hold on to a shadow, it’d merely be empty air. They merely represent something. Dangerous things can lurk in the shadows. Light has a way of chasing away the things that people don’t want to be brought out into the light. When the sun is the highest, the shadows are the the smallest. Shadows are like chameleons. They shift with the surroundings. They shift with the light source. They are always changing, moving, turning. Shadows can’t touch or hurt us. But what happens in the darkness can. What happens to us matters and stays. The attitude that says, “Oh, this is just a stage” is one that I struggle with. It almost makes kids feel pressured to experiment, just thinking it can’t hurt them. But that couldn’t be further from the truth. Choices matter. We weaken or strengthen ourselves and those around us based on little choices we make along the way. The “reality” TV shows encourage blind to lead blind. They make things appear “normal” or accepted. But the truth is? 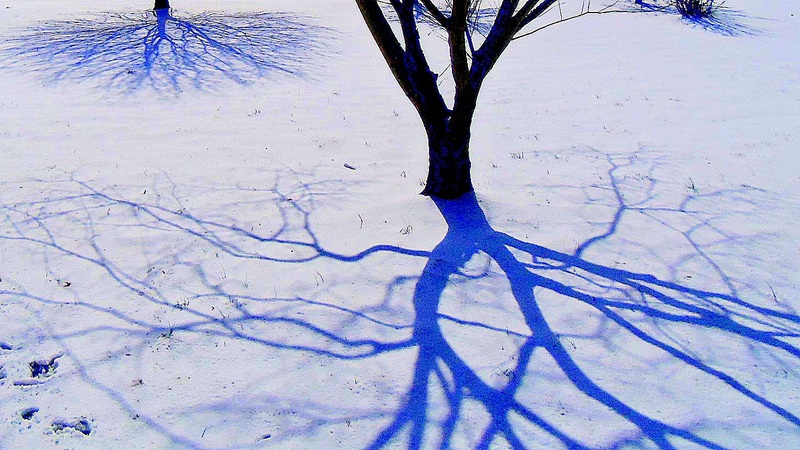 What lies behind that shadow are behaviors that are destructive. They take a toll. And time, like the setting and rising of the sun have a way of shedding light on the substance that lies behind the shadows. The real deal is a good thing. Genuine. True. I remember one day when the kids were little. My son was about 2 1/2 years old and he noticed his shadow. He started trying to chase it. He giggled and laughed and we all thought it was the cutest thing, and laughed at this little guy trying to chase his own shadow. But the laughter started to wain because it didn’t take long for him to realize that shadow could not be caught. It slipped through his little fingers and frustration set in. Poor little guy had a little mini-lesson in futility even at 2 1/2. In our world, there are things that are the real deal and things that are just plain shadows – things that we try to hold onto that just slip through our fingers. The media so encourages images and shadows and pseudo-selves that are perfect on the outside, but whose substance are like a puff of smoke, disappearing into thin air. But true substance? There is One who is True. Genuine. Always the same. And to quote an awesome song that has lasted through the ages, “there is no shadow of turning” with Him. So thankful for that. Through it all, He is One who will always remain true. And I’m thinking that knowing Him, trusting Him? That helps us to aspire to be the real deal too. Jesus doesn’t call us to be hypocrites and pharisees who “clean the outside of the cup, but are full of filth and greed on the inside”. (Matthew 23:25). He calls us to be like children. Trusting. Needing. Believing. Not children running after shadows, but children who “come unto Him”, who trust Him with all of the stuff of life in a very real gut level way. Jesus called us to genuine lives. Not to try to be something we aren’t. He wants us to come to him as we are.